During this year's QuakeCon 2014, Bethesda revealed the first details for id Software's upcoming Doom game. Its just Doom...learn to read. Its not the sequel to doom 3. Will this game be censored in Europe because of German laws? Did you really have to ask? YES! They should just expand Doom II and keep the gameplay exactly the same as it has always been. They should keep the graphics the same, too. Hopefully it's good. I also wish Quake still made proper Arena games. Q3A was amazing back in the day, I can't believe they don't try to capitalize off that anymore with a new entry to the series. Quake 4 got good reviews, but I never heard anyone going crazy about the multiplayer. I'd like to see what they could do with full focus on a new Arena game though. I loved unreal tournament 2003. I used to play lan with my buddies and we had a blast. Before that I used to play the original doom on lan too. So much fun. I miss those days. Yeah, I had Unreal Championship for the original Xbox I think it was. Quake 3 Arena on Dreamcast was cool too, cuz you could go mouse/keyboard or controller. I use to use a hybrid setup of lefthand controller, right hand mouse. I do that sometimes on shooters for PC. Cuz I rather move my character with an analog stick than wasd. 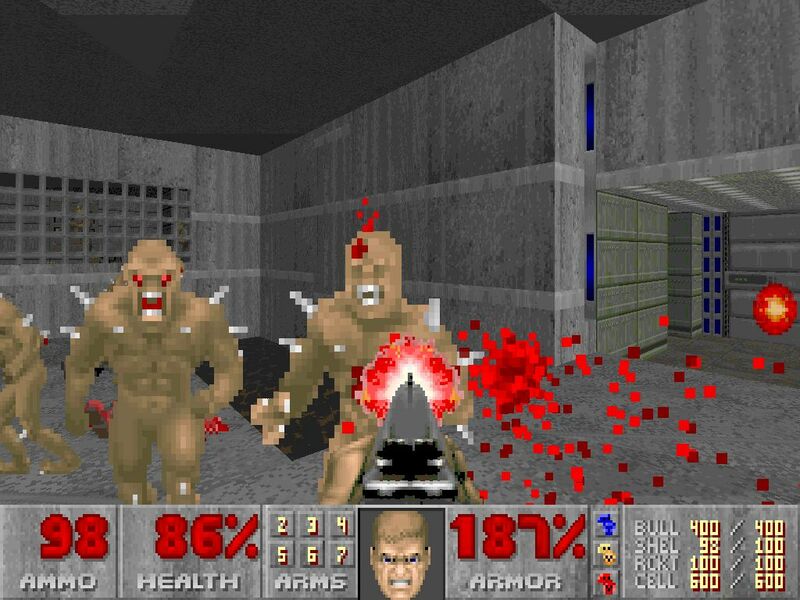 It's pretty amazing that Brutal Doom basically influenced id Software (as this new Doom game will feature fatalities similar to those of Brutal Doom). Good job to the modder. if all of the article is true, this doom is sounding like it's getting back to its crazy, bloody, fast-paced roots...which is awesome! Id tech 6 look fantastic! Anyone leak any footage yet? It's going to be awesome! To anyone who's seen this. This is good news that there won't be health regen, but can anyone confirm if there's iron sights? If not then that would be awesome and doom 4 could bring back old school fps.